Our workshop is equipped with all the specialist tools and components to create your dream bike build, we can build anything from Time Trial Bikes to Downhill bikes. Frames can be from any of our brands and we can finish your bike with components from top brands such as Shimano, Sram, Hope, DT Swiss, Rockshox and much more. We are delighted to be able to offer the Specialized Custom programme for 2018 – contact us for further information. 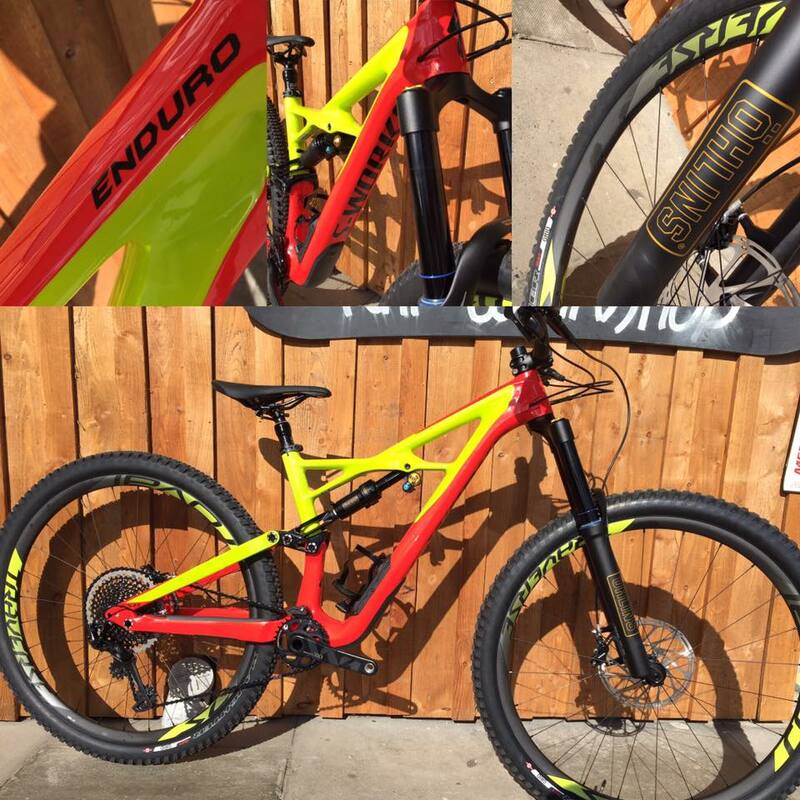 Custom Orange Bikes can also be purchased through Mikes Bikes Aviemore. So get in touch with us now via info@aviemorebikes.co.uk/01479 810478 and chat to us about your dream bike! 2017 Specialized S-Works Enduro with Ohlins Suspension.